512 memory channels, full duplex operation with independent volume and squelch controls. Power supply can be arbitrarily connected to 12V or 24V. It has big horn, that you can receive the signal in noise environment. It has a unique physical structure, good heat dissipation effect, fast heat radiation in the high temperature environment. The repeater function can be U to V, or V to U. Two connectors for microphone, the user can choose right side or left side to use the mic. V/V, U/U simultaneous receive capability. Dual receive and dual band receive at the same time. Single band display on the bigger screen. Panel and host separated controller for flexible installation. Different band width to choose from (25k for wide band, 20k for middle band, or 12.5k for narrow band). The FM panel is connected with the stereo function of vehicle, and the frequency (65-125mhz) can be preset. Inverse frequency and offline functions. Display on a large 240*64 LCD screen with dual row display or dual row letter. Stereo-speaker on the separate panel. Call in crowd, group or person. Programming CTCSS/DCS can be set. Various scan functions including MHZ, frequency, channel, CTCSS/DCS. The backlight color of screen can be set. The function of caller display(ANI identity). Several speakers for your selection. Personalized microphone and indicator light are convenient and intuitive to use. A variety of ways to start the cooling fan. Scan frequency, channel, subaudio frequency at the same time. ANI, group calls, VGCS, Stunning, Inhibit and awaken function. Frequency range can be set VHF, TX-UHF, RX or UHF, TX-VHF, RX APO auto power off. Channel scan priority function, independent channel priority function. Receiving function for wide band, air band. 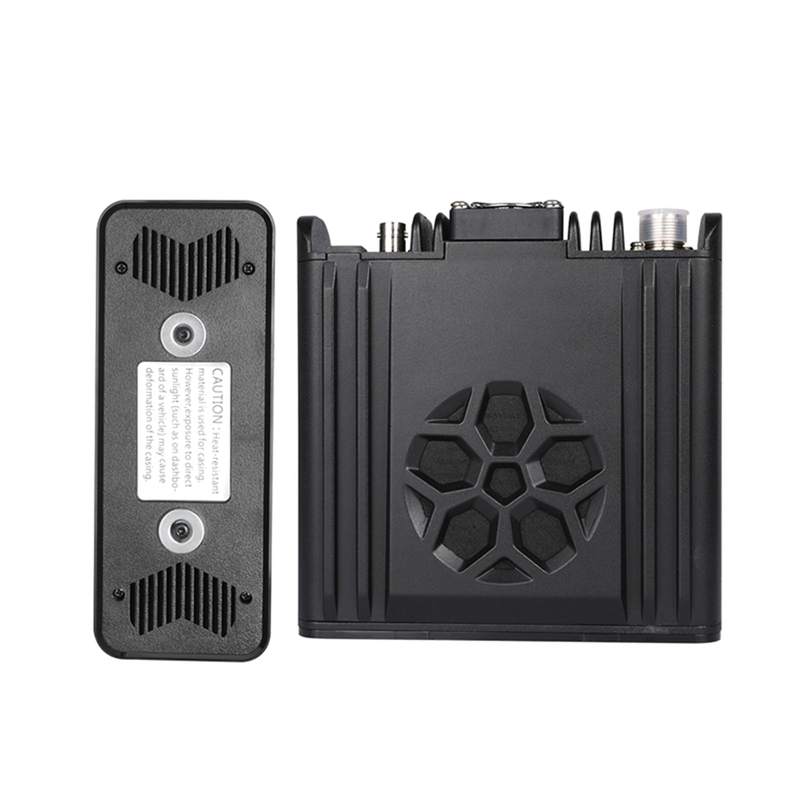 Multi-function receiver, long wave 150k-500k, AM mid wave 500K-1.8M, short short wave 2-30M, air band 112-152M, FM 65-108M.